This project is not in active development. The information on this page is obsolete and outdated. The Wireless / Wind Logging System for Sourcing ENergy - Controller is a multi-purpose prototyping platform for (but not limited to) renewable energies. E.g. It can be used for monitoring all electrical parameters of a wind turbine generator or to sense the temperature in a room/machine/garden/aquaponic system wirelessly for over one year on a set of two AA-batteries. Wilssen is the brain of TiVA and checks all the voltages at any time the wind turbine is generating power. 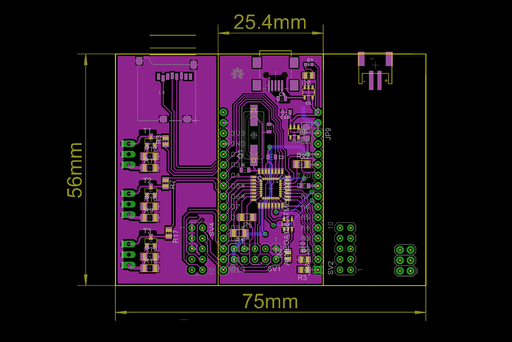 PCB dimensions: The WiLSSEN core module is one inch wide, while the physical dimensions of the full featured mainboard will be 75mm (a bit less than 3 inches) wide and 60mm high (about 2 1/3 inches). There will be an unpopulated, isolated 2mm strip at the top and the bottom for mounting purposes and tabbing, thus the 56mm dimension specified for the height. 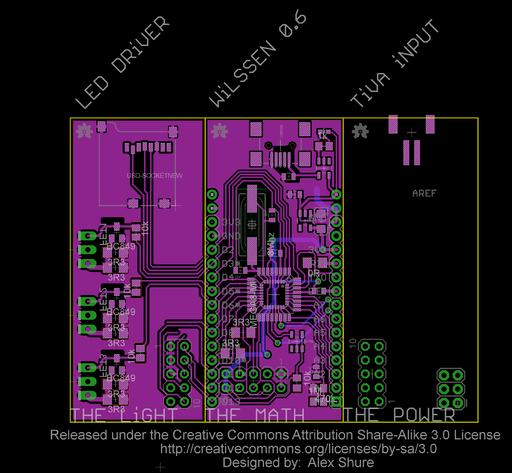 Note that the WiLSSEN PCB including tabs is half the size of a standard Eurocard. optional: decoupled voltage sensing via IC / galvanic isolation. (tbd) Charging circuit for 4 NiMH cells / 1 lead acid gel battery. 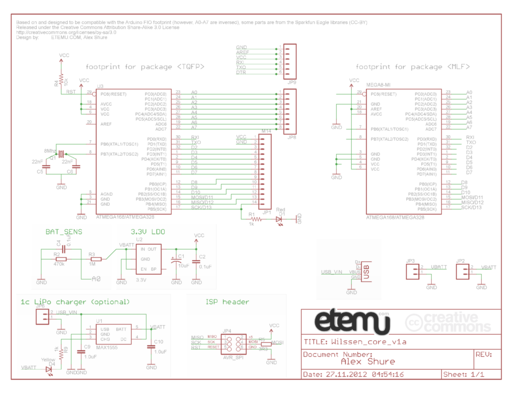 LED driver testing: Prototyping the constant current sources with PWM input. Successful! This is a draft for the communications. A gateway always listens for traffic and handles it accordingly. A leaf node may sleep for extended periods, only waking up for the occasional keep-alive packet and status report. If it is not busy with a task, it should sleep and power off the communication electronics. Except when it is in debug mode, of course. If there is a missing branch in the tree aka. a node is down, then the communication which is piped through that very node won't be handled. A fix for this would be to implement a self-organizing mesh network. However, a single NRF24 chip has only a few communication pipes and the the implementation of a true mesh network is a lot more sophisticated than a hard coded tree or star topology. Nodes can communicate over the wireless network with the WiLSSEN protocol. 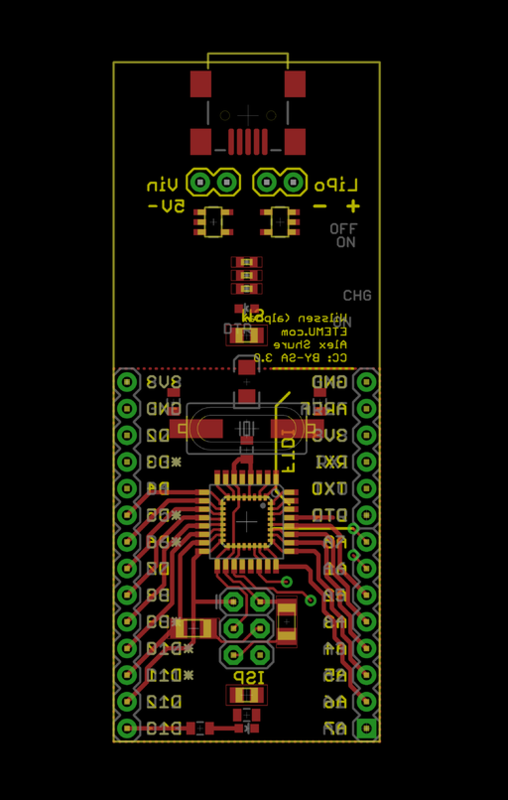 ManiacBug's RF24Network library is used for the Nordic NRF24L01+ wireless module interfacing. This simply contains a temperature and voltage reading. These values are 8.8-bit “fixed point” values, the high byte is the decimal part and the low byte is the fractional part. For example, 3.5V is represented as 0×380. Also included is a method to convert it to a string for easy printing. Controlled parallel-serial generator switching system: A turbine could be actively regulated by Wilssen's load-balancing features, such as increasing or decreasing the load, up to the freewheeling no-load open-circuit state, or reconfiguring the alternator windings on the fly. As the coils are wound at least quadfilar, there are various possibilities to connect the windings. What micro controller platform should we choose for Wilssen? the price! can be bought with a programmer for USD 4.30 vs Arduino USD 25.00 or a third-party Arduino for maybe USD 18.00 - This is a serious difference. even the single MCUs are cheaper, also, the AtMegas for an Arduino bootloader are hard to get. an excellent sleep mode with RAM retention at only 0.1µA and great power efficiency. 220µA in full operation mode is an excellent figure for off-grid low energy applications. Almost no load to the turbine. Can also be powered by a "Joule Thief" and a single old AA battery, or just two old AA cells in series (3V). That should last for ages, at a constant current of 0.25 mA and an old battery of 1000 mAh, the unit will still run for 180 days, and the MSP430 can be operated with a supply voltage as low as 1.8V. A nice solution: => Write clean C-code and let it be compatible with MSP430 and AVR compilers. 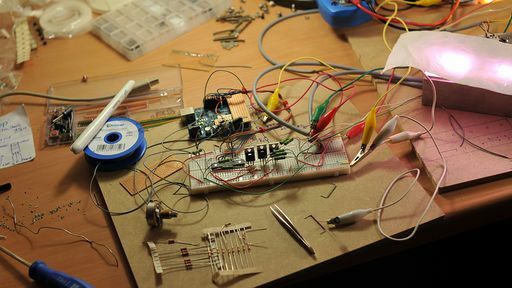 Some Arduino projects were easily ported to the MSP430. rapidly switch between parallel and serial modes (if the load, e.g. the synchronous rectifier, can cope with the spikes (inductive..) and has appropriate switching abilities) and thus form an sort of automatic pulse width modulated, regulated, operation mode. either make the generator windings float or short them. !! shorting may not be an option. only with temperature control of the generator and the semiconductors due to the heat generated at a shortcut.!! If all batteries are loaded and the current user power consumption level is minimal, the power surplus of the turbine should be fed into high power LEDs, pointing upwards from the base, lighting the turbine. This adds to protect the system of an unbalanced situation, when more power is generated than reasonably consume- or storable and at the same time to signal, that we still have more energy to share, inviting people to join, in a friendly and beautiful manner. 'high-tech' electronic idea: dual rotor on single pole design, counter rotating, brush-less royer converter, doubled rpm, less poles, switching power supply is already build in due to the royer converter, coil-in-coil, core coupling, voltage output may be quite high from the start. lower electrical efficiency? downside: needs IP67 protected circuits on both the rotor and the stator of the royer converter. upside: output voltage could be regulated on-board. also, input voltage may be very low depending on the setup. variation: a rotor with lift-type wings on top and a rotor with drag-type wings at the bottom. thus the lower rotor gains speed at lower wind speeds but has a top end speed of approx. lift-type/2, while the lift-type wing still accelerates in high wind speed conditions. 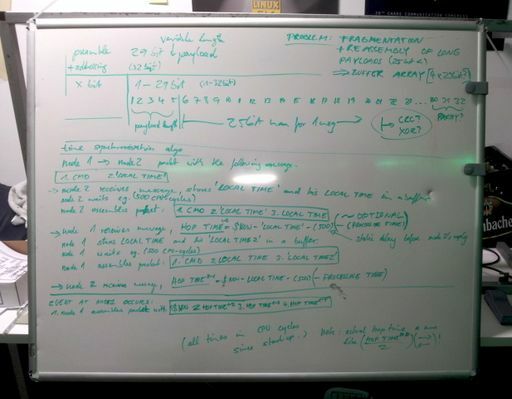 This page was last edited on 26 June 2018, at 22:14.